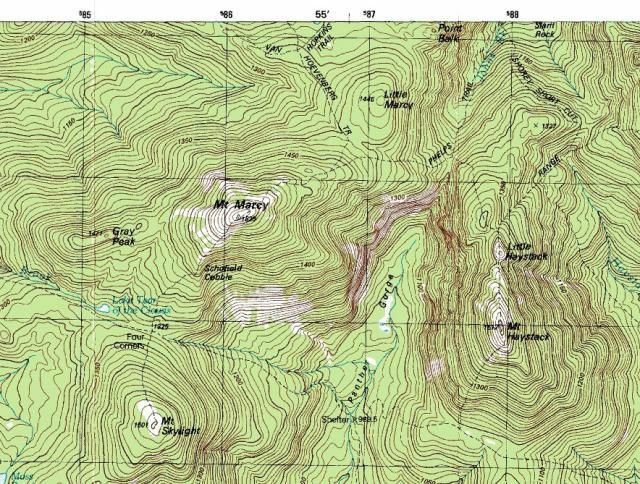 A topographic map of Mount Marcy, New York. Topographic maps (often called topo maps for short) are large scale (often greater than 1:50,000) maps that show a wide range of human and physical features of the Earth. They are very detailed maps and are often produced on large sheets of paper. In the late 17th century, French finance minister Jean Baptiste Colbert hired surveyor, astronomer, and physician Jean Dominique Cassini for an ambitious project, the topographic mapping of France. After a century of work by Cassini, his son, grandson, and great-grandson, France was the proud owner of a complete set of topographic maps -- the first country to have produced such a prize. Since the 1600s, topographic mapping has become an integral part of a country's cartography. These maps remain among the most valuable maps for government and the public alike. In the United States, the U.S. Geological Survey (USGS) is responsible for topographic mapping. There are over 54,000 quadrangles (map sheets) that cover every inch of the United States. The USGS' primary scale for mapping topographic maps is 1:24,000. This means that one inch on the map equals 24,000 inches on the ground, the equivalent of 2000 feet. These quadrangles are called 7.5 minute quadrangles because they show an area that is 7.5 minutes of longitude wide by 7.5 minutes of latitude high. These paper sheets are approximately 29 inches high and 22 inches wide. Topographic maps use a wide variety of symbols to represent human and physical features. Among the most striking are the topo maps' display of the topography or terrain of the area. Contour lines are used to represent elevation by connecting points of equal elevation. These imaginary lines do a nice job of representing the terrain. As with all isolines, when contour lines lie close together, they represent a steep slope; lines far apart represent a gradual slope. Each quadrangle uses a contour interval (the distance in elevation between contour lines) appropriate for that area. While flat areas may be mapped with a five-foot contour interval, rugged terrain may have a 25-foot or more contour interval. Through the use of contour lines, an experienced topographic map reader can easily visualize the direction of stream flow and the shape of the terrain. Most topographic maps are produced at a large enough scale to show individual buildings and all streets in cities. In urbanized areas, larger and specific important buildings are represented in black though the urbanized area surrounding them is represented with a red shading. Some topographic maps also include features in purple. These quadrangles have been revised solely through aerial photographs and not by the typical field checking that is involved with the production of a topographic map. These revisions are shown in purple on the map and can represent newly urbanized areas, new roads, and even new lakes. 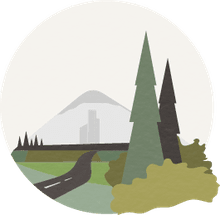 Topographic maps also use standardized cartographic conventions to represent additional features such as the color blue for water and green for forests. Several different coordinate systems are shown on topographic maps. In addition to latitude and longitude, the base coordinates for the map, these maps show UTM grids, township and range, and others. Campbell, John. Map Use and Analysis. 1991. Monmonier, Mark. How to Lie With Maps. What Does 'Relief' Mean in Geography? Why Are There Different Colors on Maps?